Let’s start with the most valuable data in any organization – your customers. First, you need to build a reliable database of your customers. Or simply import it from Microsoft Outlook / Excel. 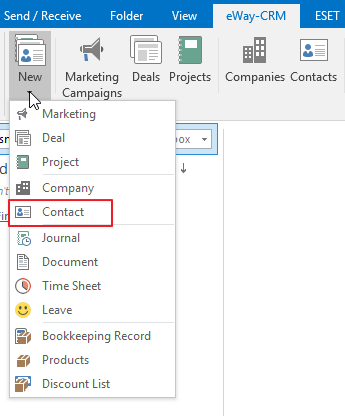 Click New on the eWay-CRM ribbon and select Contact. Specify details (Full Name, Email Address, Mobile, etc.) and click Save. To create a company for this contact, click on the + sign. Fill in the company details and save and close the record. Tip for eWay-CRM Premium: Have a look at eWay-CRM Mobile on your iOS / Android device. The new contact and company are already there. As you pick up the phone or go to a meeting, take notes and write down anything important. 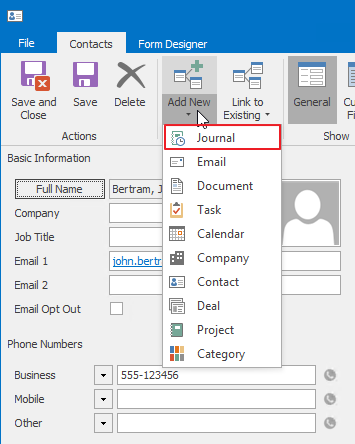 On the contact dialog, click Add New and choose Journal. The Subject contains just a short title. Your details go to the Note. Don’t forget to select the Type – i.e. Call or a Meeting. Click Save. Now, you can find all your activities under the Journal tab in the contact dialog. 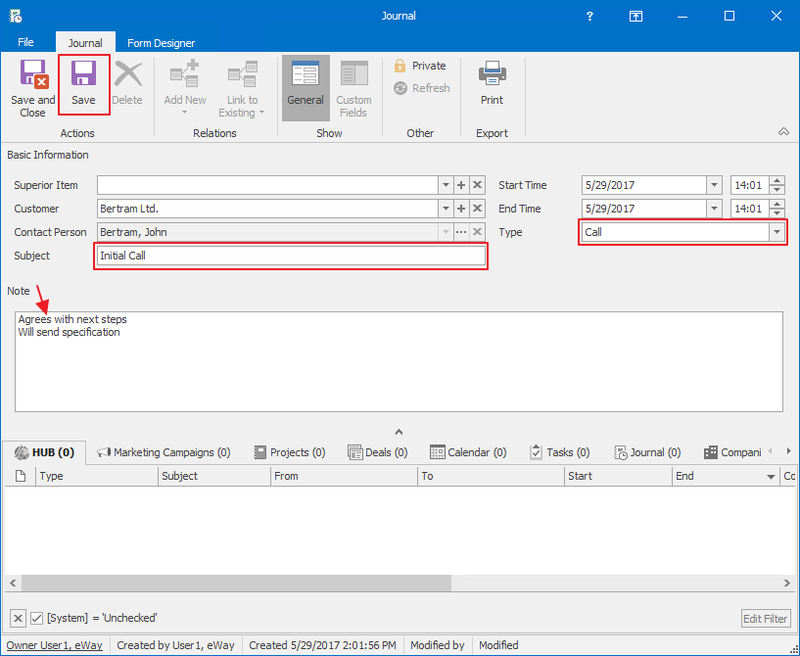 Tip for eWay-CRM Premium: You can make a journal in eWay-CRM Mobile too. To find our more, please visit this link. Almost every meeting or a phone call results in a follow-up task. Keep your agenda in order, and you will always know what to do next. 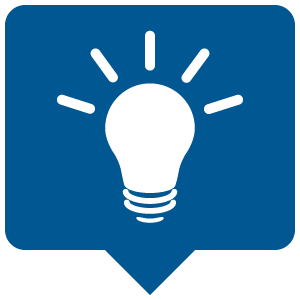 You can create a follow-up task from the contact or the journal entry. Let’s pretend we are still in the middle of the previous phone call, so the journal record is still in front of us. Click Add New and choose Task. 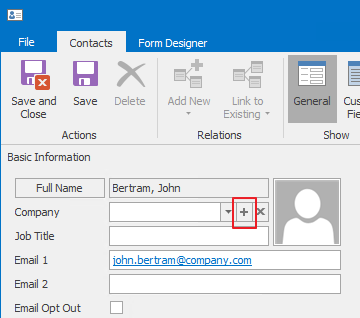 A task window will pop up with the predefined Subject: Contact name. We recommend adding your notes after the predefined text. Specify Start date, Due date, Status, Priority. Set up the Reminder if needed. Click Save and Close. As a result, the task will appear in various places. It will be visible in both – the journal entry and the contact dialog. 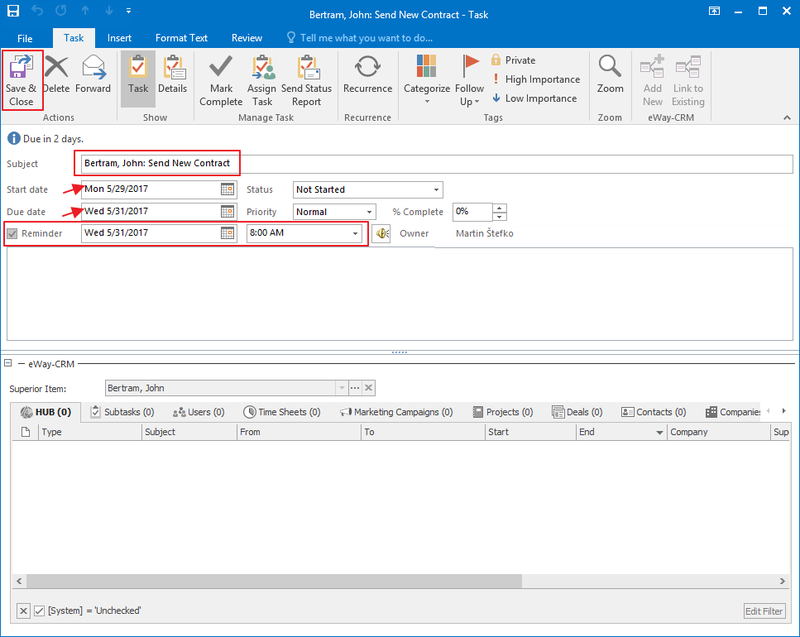 Also, you will find the task in your Microsoft Outlook Task list. 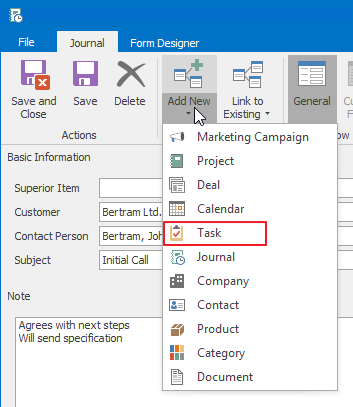 Tip for you: Apply the same approach without the Journal and click the Add New Task button on the contact dialog. It works the same way. Organized emails in eWay-CRM will help you keep track of your conversations. Do not lose touch with your customers and deals. On the contact page, click Add New and choose Email. 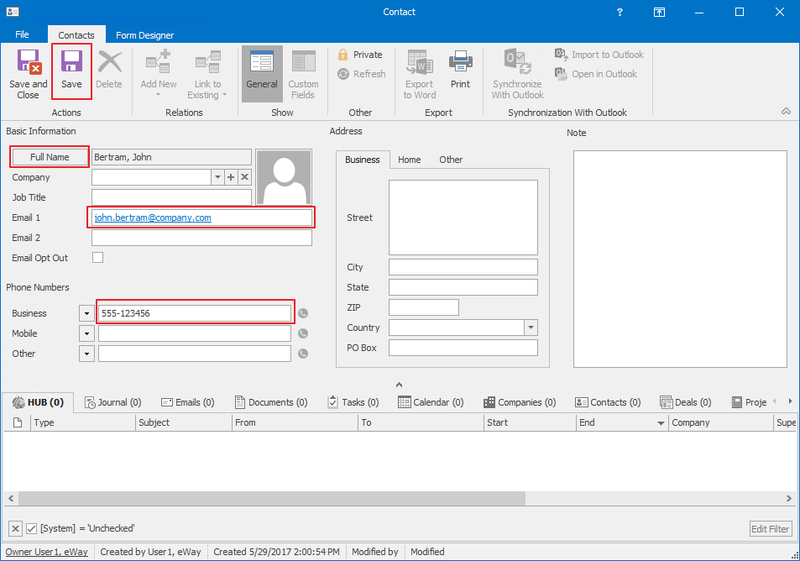 The email will be linked to the contact automatically and will appear under the Emails tab. Tip for eWay-CRM Premium: Have a look at your mobile app and find the contact there. You will see all the information in the HUB. This way, you can access your eWay-CRM data from your pocket.